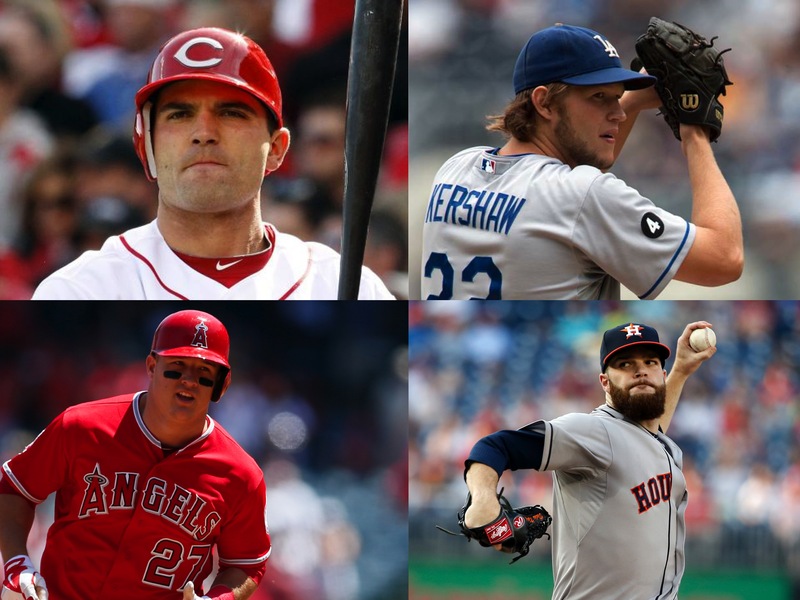 Man, it has been a rough post season for starting pitchers so far. EVERYONE’S bats are on fire. Hell, even an Arizona RELIEVER got an RBI triple tonight. It was a wild game but Arizona held on and sadly the prospect of a World Series played in Denver and Minnesota will have to wait another year. Ketel Marte tripled from both sides of the plate, scored a run and drove in another to lead the potent Diamondbacks lineup past Colorado, 11-8. Robbie Ray threw 2 1/3 innings out of the bullpen, striking out 3 Rockies and allowing 1 run as the Diamondbacks held on, 11-8. Chris Rusin threw 2 1/3 shutout innings of relief, fanning 3 Diamondbacks and stopped the bleeding for a while. The Rockies could not complete the comeback and fell, 11-8. Trevor Story got 2 hits including a homer in the Rockies 11-8 loss to Arizona. The Tigers have definitely heated up their lineup in the last week – and are perhaps still vastly underrated on FanDuel right now. Looking to capitalize on low values for Miguel Cabrera, Justin Upton and J.D. Martinez. I also believe in the NY Yankees getting the better of Rick Porcello on Saturday with LHB Brett Gardner and Brian McCann. I added Starlin Castro to the fold at Fenway Park. For some reason, the Yankees do well at Fenway for batting anyway. 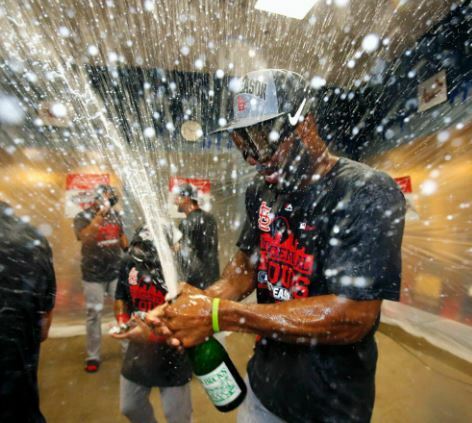 Plus I can’t think that Porcello will keep up his success either. There is a lot of frontline pitchers throwing on Saturday, so I am steering clear of a a ton of cash on FanDuel. I do love Francisco Liriano vs the Reds. Heck, I love anyone against the Reds – who are starting their freefall. The regular season is over. My daily tally for Who Owns Baseball is at an end. Every day I determine which player had the best individual day on a winning team to earn a full WOB and on a losing team for a 1/2 WOB. Chris Sale, Chicago White Sox. 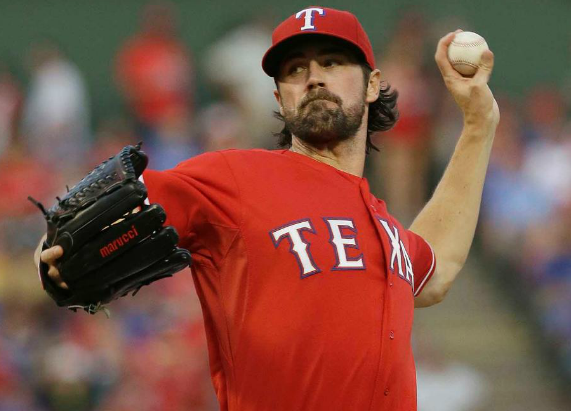 Cole Hamels settled down after a shaky first inning to throw a complete game, allowing 3 hits and 2 runs, striking out 8 and topped the Angels, 9-2 to clinch the AL West title for the Texas Rangers. Chris Davis homered twice and reached base 4 times altogether, driving in 4 and helping the Orioles beat the Yankees, 9-4. Shelby Miller finally recorded another win, throwing 8 shutout innings, allowing 3 hits and 7 strikeouts, as Atlanta was victorious over St. Louis, 6-0. A. J. Pollock went 3 for 5, homering and driving in a pair to have the Diamondbacks crush Houston’s hopes to host the Wild Card Game with a 5-3 final. Rick Porcello allowed 2 earned runs and 1 unearned run over 7 innings but was saddled with the 3-1 Red Sox loss in Cleveland. Jose Altuve went 3 for 5 with a triple and two runs scored. His Astros would fall just short to Arizona, 5-3. Tanner Roark threw 6 shutout innings, allowing 3 hits and 1 walk. He would not factor into the decision as the Nationals lost to the Mets, 1-0. Dee Gordon captured the NL Batting Title with a single, double and homer, scoring both Marlins runs along the way but Philadelphia won, 7-2. 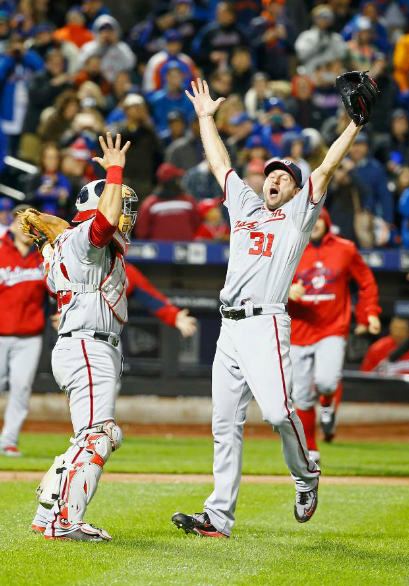 Max Scherzer threw his second no hitter of the season, walking none and striking out 17 Mets along the way for the 2-0 Washington final. Corey Kluber struck out 9 over 8 shutout innings, allowing 3 hits and 2 walks and earning the 2-0 decision for the Indians over Boston. Christian Yelich had a terrific double header. In all he went reached base nine times, going 5-5 in one game and 3 for 4 with a walk in the other, combining for 3 runs scored and 2 RBI as the Marlins beat the Phillies twice, 7-6 and 5-2. Colby Rasmus homered twice and added a single to lead the Astros closer to a playoff spot, 6-2 over the Diamondbacks. Noah Syndergaard allowed 2 hits and 1 run and 1 walk while striking out 10 Washington batters. But the Mets were no hit, 2-0. Marco Estrada pitched into the 7th, finishing with 6 2/3 innings, striking out 9 while giving up 3 hits and walking none. He would get a no decision as the Blue Jays lost to Tampa Bay 4-3. Paul Goldschmidt reached base 3 times and homered in the Diamondbacks 6-2 loss to the Astros. Josh Hamilton‘s two homers off the Angels (on their dime) was almost the greatest middle finger in recent years. Unfortunately for him, the Angels made a dramatic rally in the 9th inning to put the Division Clinching on hold and beat the Rangers 11-10. 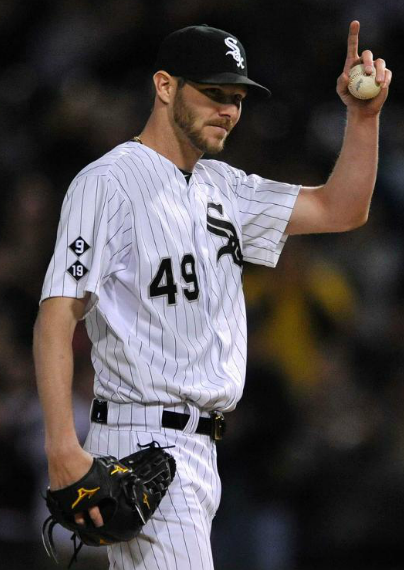 Chris Sale set the single season strikeout mark for a White Sox pitcher with 274, finishing the game with 7 whiffs in 7 innings, allowing 1 run and 5 hits in the 2-1 final over Detroit. Carlos Correa kept Houston’s playoff hopes alive by leading a mind boggling offensive attack. He reached base 4 times, including a homer and a stolen base, scoring 4 and driving in 4 as the Astros obliterated the Diamondbacks 21-5. Jake Arrieta finished his regular season with another shutout performance, striking out 7, allowing just 2 hits over 6 innings and sealing the 6-1 Cubs victory in Milwaukee. Daniel Castro collected 3 hits including a homer, driving in a pair in the Braves 4-0 blanking of St. Louis. Martin Perez allowed 1 run over 7 innings but got a no decision as the Rangers fell to the Angels, 2-1. Brad Miller went 3 for 3 with a homer in the Mariners 4-2 defeat to the A’s. Eugenio Suarez homered and singled, driving in 3 in Cincinnati’s 6-4 loss in Pittsburgh. 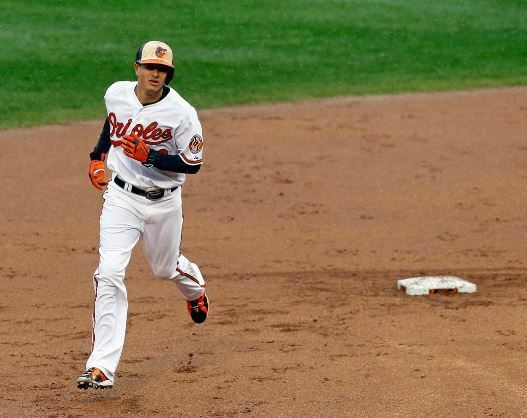 Manny Machado reached base 4 times, including 2 homers, a pair of stolen bases, 3 runs scored and 3 RBI to help Baltimore win a rain soaked 6-4 game over the Blue Jays. Jake Odorizzi topped Miami with 7 innings, one unearned run and 7 strikeouts and earned the 4-1 decision for Tampa Bay. Socrates Brito came off the bench and went 3 for 3, including a triple and a stolen base, scoring twice and driving in a run, scoring in the game winning rally in Diamondbacks come from behind victory, 8-6. Jerad Eickhoff pitched 7 shutout innings, striking out 10 and 4 hits to lead the Phillies past the Mets, 3-0. 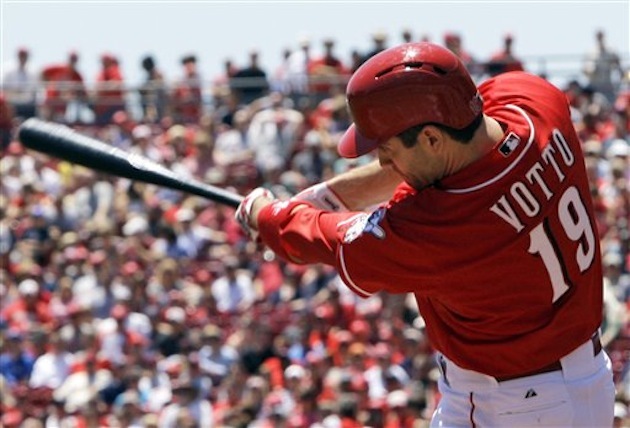 Albert Pujols doubled and homered, scoring twice, but saw the Rangers beat his Angels 5-3. Trevor Bauer was terrific for 7 innings, giving up 2 hits and a run and 3 walks. He got no decision as the Twins won in Cleveland, 4-2. Kirk Nieuwenhuis doubled twice and singled in the Mets 3-0 loss to Philadelphia. Ryan Weber went 7 innings, allowing 1 run, no walks and 10 strikeouts. He would get a hard luck loss as the Braves lost to the Nationals, 3-0. Jason Heyward reached base 4 times, including a grand slam and made some terrific catches in right field in the Cardinals Division Clinching 11-1 laugher over the Pirates. He also added another hit in the opening game of the double header. Mike Leake threw a complete game 2 hit, no walk shutout to give the Giants a too little too late 5-0 victory over the NL West champion Dodgers. Ryan Goins reached base 6 times, scoring 3 times and driving in another to led the Blue Jays to a 15-2 blow out of the Orioles and Toronto’s first AL East title since 1993. Kevin Gausman picked up the Orioles in the second game of the double header with 8 innings, 5 hits and no walks while striking out 10 en route to an 8-1 win over the Blue Jays. Matt Carpenter doubled and homered, driving in a pair in the Cardinals 8-2 defeat by the Pirates in the opening game of their double header. In the night cap, he reached base 4 times, scoring 3 and doubling. Chad Bettis allowed 1 earned run and 1 unearned run over 6 solid innings but took the 3-1 Rockies loss to Arizona. 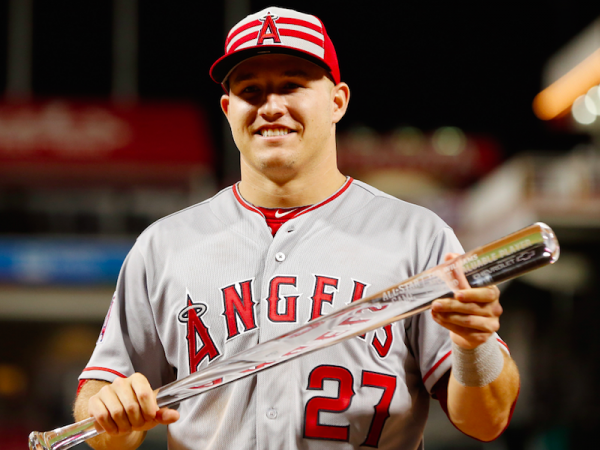 Mike Trout reached base 5 times including a homer and a walk in the 9th that made him the tying run. He would be stranded as the Angels come back came just short, 8-7 to Oakland. Jose Quintana went 9 innings, allowing 5 hits, 3 runs and striking out 8. He would get a no decision as the White Sox fell to Kansas City in 10 innings, 5-3. 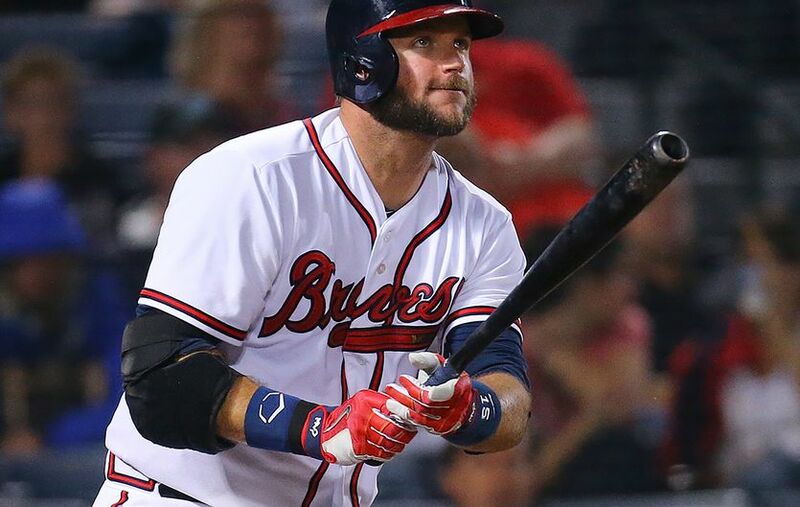 A. J. Pierzynski went 3 for 3 with 2 homers, providing all of Atlanta’s offense as they snuck past Washington, 2-1. 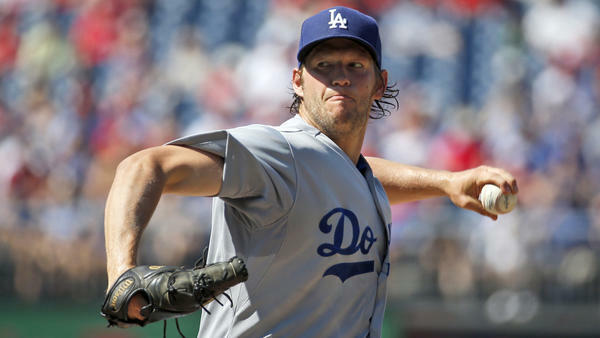 Clayton Kershaw threw a complete game 1 hit, 1 walk, 13 strikeout shutout to top the Giants 8-0 and clinch the National League West crown for the Dodgers. Nick Tropeano struck out 11 and walked just 1 in 6 2/3 innings, earning the 8-1 decision for the Angels over Oakland. Lucas Duda collected 3 hits, 2 of them home runs, and drove in 3, but it was not enough as the Phillies edged the playoff bound Mets, 4-3. Tanner Roark pitched into the 7th, finishing with 6 2/3 innings, allowing 2 runs and 5 hits. 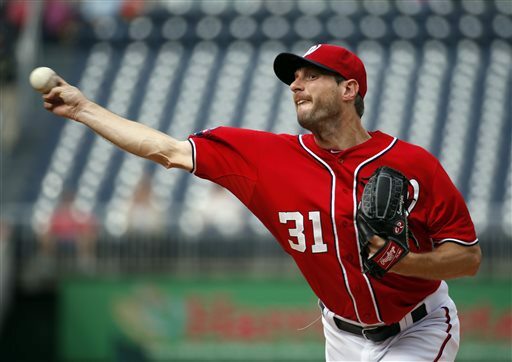 He would be saddled with the loss, however, as the Nationals fell to Atlanta, 2-1. 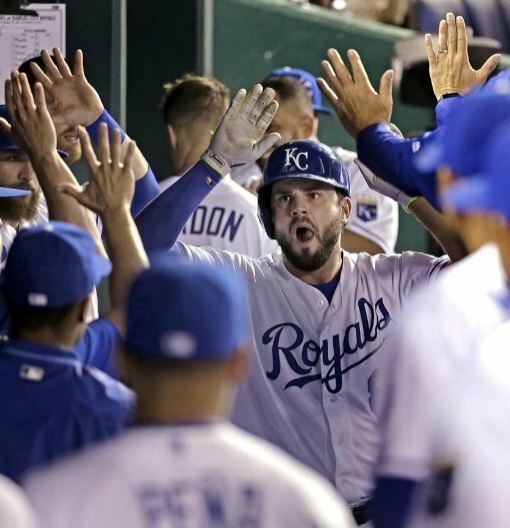 Eric Hosmer homered and singled in the Royals 4-2 loss to the White Sox. 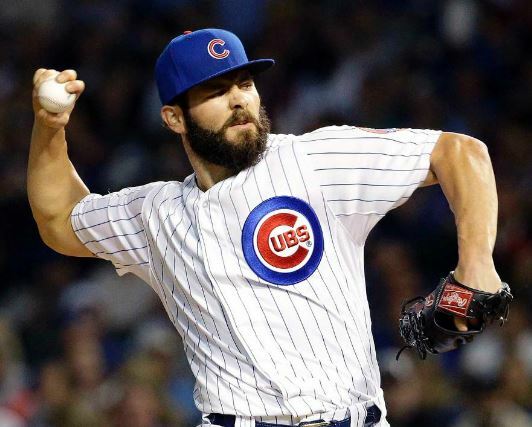 Jake Arrieta was perfect through 6 and finished with 7 innings, 1 hit, 1 hit batsman, no walks, 9 strikeouts and a home run of his own as the playoff bound Cubs blanked Pittsburgh, 4-0. 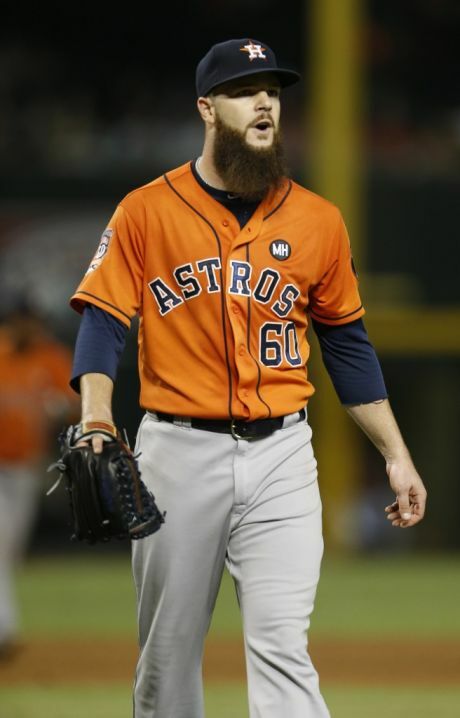 Dallas Keuchel solidified his Cy Young bid by striking out 10 Rangers in 7 innings, allowing 2 hits, 2 walks and 1 run and giving the Astros a critical 4-2 victory. Ender Inciarte went 4 for 5 with a pair of homers and 3 RBI to lead Arizona past San Diego, 4-2. Byron Buxton doubled and homered, driving in a pair and scoring 2 to help the still contending Twins clobber the Tigers, 7-1. John Lackey threw 7 strong innings, striking out 7 and giving up just 1 run. The bullpen would implode and the Brewers beat the Cardinals, 8-4. Hisashi Iwakuma pitched into the 8th, finishing with 7 1/3 innings and giving up 3 runs while walking no Angels. He would be saddled with the decision in the 3-2 Mariners loss. Matt den Dekker collected 4 hits, homered and scored 3 times in the Nationals 12-5 defeat at the hands of the Phillies. Mikie Mahtook got 2 hits including a homer and 2 RBI but Tampa Bay fell to Toronto, 5-4. 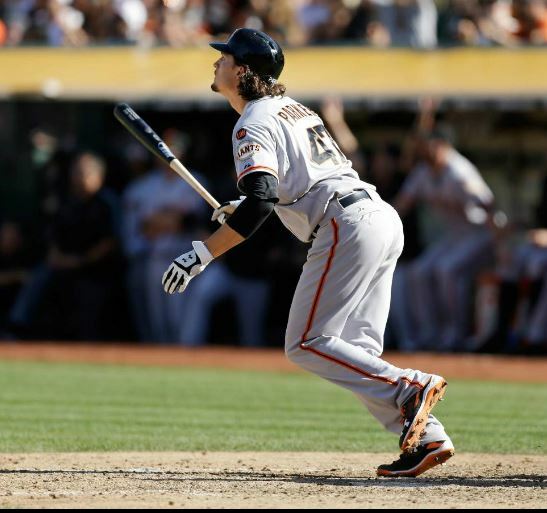 Jarrett Parker put on a mind boggling show, launching 3 homers, including a grand slam, to drive in 7 runs in the football sounding 14-10 San Francisco over Oakland final score. Stephen Strasburg struck out 13 in 8 innings, allowing 3 hits, 1 walk and 1 run. He did not factor in the decision but helped set up Washington’s 2-1 victory over Philadelphia. Carlos Correa gave the Astros a much needed burst of energy by going 3 for 4 with 2 homers, including a game tying shot, and 3 RBI to beat Houston 9-7. Adam Warren pitched 6 strong innings, allowing 3 hits and 1 run, earning the 2-1 win for the Yankees over the White Sox. Andre Ethier went 2 for 4 with a homer and 3 RBI but the Dodgers lost on a walk off homer to the Rockies, 8-6. Jeremy Hellickson allowed just 4 hits and 1 run over 6 innings but was saddled with the 3-0 loss as San Diego topped Arizona. Kevin Kiermaier doubled and homered, scoring 3 times and driving in 2 in but the Rays fell 10-8 in Toronto. 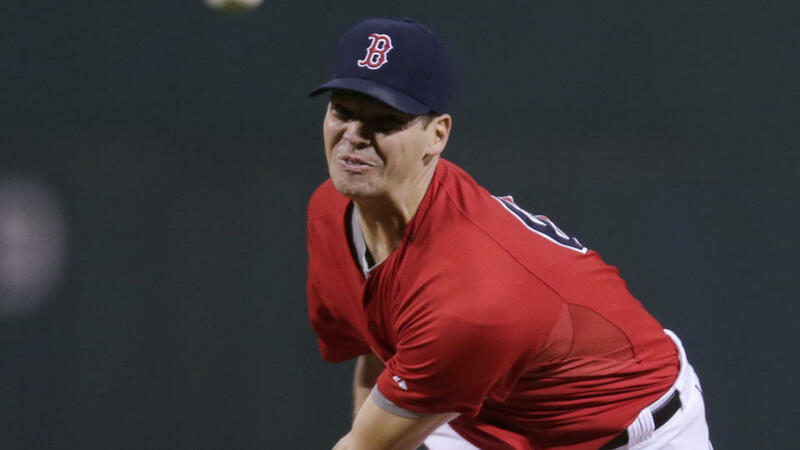 Rich Hill threw a complete game 2 hit shutout with 10 strikeouts and 1 walk to top the legit big league lineup (as opposed to who Carlos Carrasco faced with Kansas City) beating Baltimore 7-0. Shin-Soo Choo went 3 for 5 and crushed a critical 3 run homer to help the Rangers win a critical divisional match up against Houston, 6-2. Gerrit Cole pushed the playoff bound Pirates closer to the top of the Division with 7 innings of 1 run ball, allowing just 4 hits and 2 walks and earning the 3-2 decision over the Cubs. Lucas Duda smacked a pair of 3 run homers to move the Mets closer to a division title with a 12-5 pasting of the Reds. Luis Valbuena briefly gave the Astros hope with a two run homer to help cut their deficit down. But in the end they could not beat the Rangers, 6-2. Jon Lester went 7 innings without walking a batter, 5 hits and 2 runs but got a tough luck loss as the Pirates won against the Cubs 3-2. Freddie Freeman got on base 4 times, homered, scored 3 times and drove in 2 but his Braves lost a wild 12-11 slugfest against Miami. Mike Moustakas reached base 5 times with a double and a homer, driving in 3 and scoring 3 to help the Royals clobber the Mariners 10-4 and clinch their first Division Title since 1985. Erasmo Ramirez pitched 7 strong innings, allowing 4 hits and 2 runs and earned the 4-2 decision for Tampa Bay in Boston. Stephen Piscotty homered and had a pair of RBI singles, driving in 4 in all, helping the Cardinals erase an early hole and beat Milwaukee 7-3. Steven Matz struck out 8 and walked none in 5 2/3 innings. He did not get the decision but the Mets won a wild 6-4 game in Cincinnati. David Ortiz went 2 for 4 with a homer and 2 RBI in the Red Sox 4-2 defeat by Tampa Bay. Chris Sale struck out 8 and walked 1 over 7 innings. But a 3 run homer doomed his chances as the White Sox fell to the Yankees, 3-2. Brandon Crawford reached base 3 times including clubbing his 20th homer of the season, but the Giants bullpen blew the lead again and San Diego walked off 5-4 winners. Alec Asher threw 7 terrific innings, allowing 3 hits, 1 run and 1 walk. He would be a hard luck loser as the Phillies were shutout by Miami, 1-0. 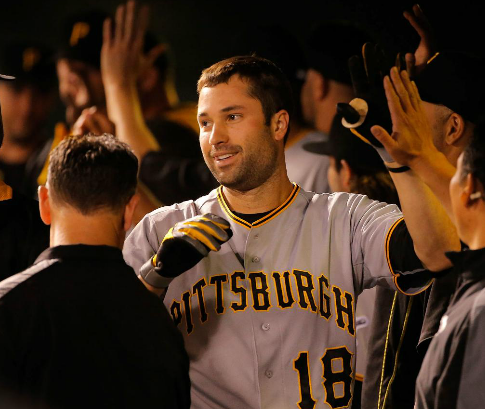 Neil Walker slugged Pittsburgh back into the post season by reaching base 5 times, homering, driving in 6 runs and scoring 2 more in the 13-7 laugher at Colorado. Adam Conley struck out 8 and allowed just 3 hits and 1 run over 6 innings. He did not get the win, but his Marlins did, 4-3 over the Phillies. Steven Souza Jr. went 4 for 5 with a homer and 2 runs scored to help the Rays top the Red Sox, 6-2. Marcus Stroman pitched the Blue Jays a little closer to an AL East title with 7 innings of 5 hit shutout ball to beat the Yankees 4-0. Corey Dickerson 3 for 5 and homered, driving in 2, but the Rockies fell to Pittsburgh, 13-7. Chase Anderson allowed just 1 hit, 1 run and 2 walks while striking out 10 over 6 innings. He did not get a decision as the Dodgers beat his Dimondbacks 4-1. Melky Cabrera collected 3 hits, including a homer, driving in 3 in the White Sox 7-4 loss in Detroit. 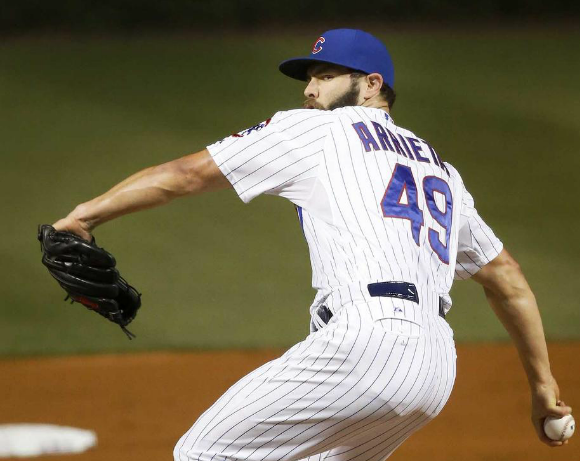 Jake Arrieta won his 20th game with a complete game 3 hit shutout, striking out 11 Brewers and walking just 1 for the 4-0 Cubs final. Hisahi Iwakuma threw 7 shutout innings, allowing 3 hits, and 1 walk and striking out 10 as the Mariners topped Kansas City 11-2. Cody Asche got 3 hits, including a pair of homers, driving in 3 to help the Phillies beat the Marlins, 6-2. Robinson Cano homered twice, driving in 4, to help the Mariners clobber the Royals, 11-2. Tyson Ross struck out 11 batters in 6 innings, walking only 2 and allowing just 2 runs. He took the decision in San Diego’s 4-2 defeat to the Giants. Lance McCullers gave the Astros 7 strong innings, allowing 3 runs while striking out 9 Angels batters and walking none. His reward was a tough luck 4-3 loss. Wilin Rosario got on base 3 times with a homer in the Rockies 6-3 loss to the Pirates. Kevin Pillar reached base 4 times including a homer and 2 RBI but the Blue Jays fell to the Yankees in extra innings, 6-4. 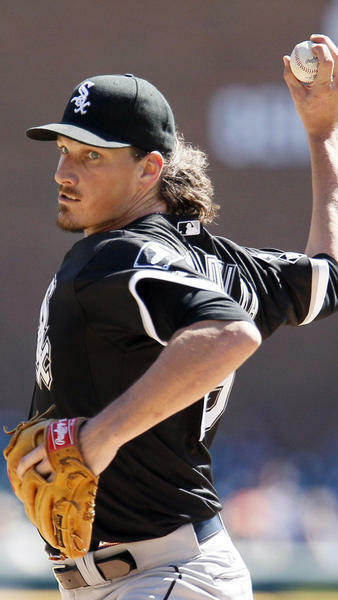 Jeff Samardzija tossed a complete game 1 hit shutout, walking none and striking out 6, earning the 2-0 decision for the White Sox over the Tigers. Xander Bogaerts collected a pair of hits, the second being a come from behind 2 out 8th inning grand slam that put the Red Sox over the top against the Rays. 8-7. Jaime Garcia threw 7 strong innings, allowing 5 hits, 1 run and 2 walks. He would not get the decision in the Cardinals 2-1 win over the Reds. Anthony Rizzo reached base 5 times, including a double, scoring twice in the Cubs 9-5 victory over the Brewers. Kyle Ryan went 7 solid innings, walking 1, allowing 2 runs and 6 hits. He got a hard luck loss as the Tigers were nearly no hit by the White Sox, 2-0. Brandon Guyer got on base 4 times including a homers and a pair of runs scored. The Rays bullpen would collapse, however, and Boston would take the game 8-7. John Lamb gave the Reds 6 shutout innings, giving up just 5 hits and 1 walk. He got a no decision as the Cardinals came back to win, 2-1. Tom Murphy homered, walked and drove in 3 runs in the Rockies 9-3 loss to Pittsburgh. 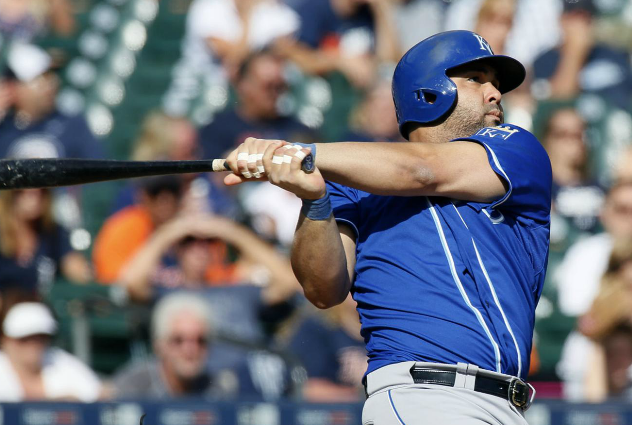 Kendrys Morales reached base 5 times with 3 homers and a triple, 5 runs scored and 3 RBI, leading the Royals to a 10-3 blow out of the Tigers. Collin McHugh struck out 8 in 8 innings with 4 hits and 1 run to earn the 5-1 decision for the Astros over Oakland. Yunel Escobar went 4 for 4 with a walk and a double, scoring 3 and driving in 4, helping the Nationals to ease past the Marlins, 13-3. Julio Teheran was perfect into the 7th and threw a shutout into the 9th. He allowed the Phillies to tie the game but finished with 8 1/3 innings, 1 run, 5 hits and 8 strikeouts. He did not get the decision but the Braves walked off 2-1 winners. Dioner Navarro homered and singled, driving in 2 RBI, but the Blue Jays lost to Boston, 4-3. Aaron Brooks allowed just 3 runs over 7 innings. He took the tough luck 5-1 loss as the A’s fell to the Astros. Jay Bruce clubbed a pair of homers, driving in 3, but his Reds were beaten by Milwaukee 8-4. Aaron Nola allowed just 1 run over 7 innings but his Phillies let the Braves walk off 2-1 winners. 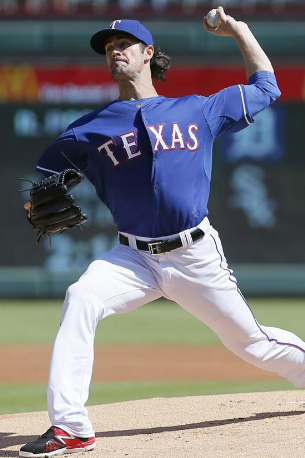 Cole Hamels struck out 12 Mariners batters in 7 innings, allowing 1 run and 7 hits and earning the 10-1 decision for the first place Rangers. Carlos Beltran hit a 3 run homer in the first and added another hit and another run to help the Yankees bounce back and beat the Mets, 5-0. Patrick Corbin threw 7 shutout innings, allowing 5 hits and pitching the Diamondbacks past the fading Giants, 6-0. Kris Bryant reached base 3 times including a homer, driving in 2 as the Cubs won again over St. Louis, 5-4. Erasmo Ramirez threw 7 innings, scattering 9 hits while walking none and allowing just 2 runs. He got a tough luck loss as the Rays fell to Baltimore, 2-1. Eric Hosmer collected 3 hits including a game tying homer but the Royals fell to the Tigers again, 6-5 in 11 innings. Jerad Eickhoff tossed 7 shutout innings, allowing just 5 hits. But he did not get a decision as the Phillies lost to Atlanta. 2-1. Domingo Santana went 3 for 4 with a homer and 5 RBI in the Brewers 9-7 loss to Cincinnati. 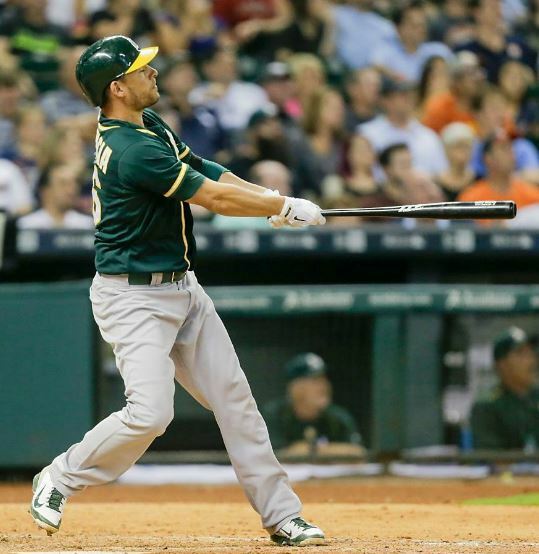 Danny Valencia reached base 3 times including a pair of homers, the second one was a 2 run come from behind shot in the 8th that put Oakland up for good 4-3 in Houston. Starlin Castro led the red hot Cubs by getting on base 4 times, homering twice and driving in 6 runs in the 8-3 victory over first place St. Louis. Justin Verlander pitched 8 2/3 innings, allowing 5 hits, 2 runs and just 1 walk. He would not get the decision but the Tigers walked off 5-4 winners against the Royals in 12. Zack Greinke pitched into the 8th, finishing with 7+ innings, 4 hits, 2 runs and only 2 walks, while creeping closer to a Cy Young and a division title for the Dodgers by beating Pittsburgh 6-2. Steve Pearce hit 2 homers and drove in 3 runs in Baltimore’s 8-6 loss to Tampa Bay. Jason Rogers got on base 3 times, homered and drove in a pair but the Brewers lost to the Reds, 5-3. Masahiro Tanaka pitched well in the opening game of the Subway Series, giving the Yankkes 6 innings, no walks and 5 hits. But 2 of the hits were solo homers and led to the 2 runs he allowed in a 5-1 loss to the Mets. Madison Bumgarner allowed 1 earned run and 1 unearned run over 8 strong innings but the Giants bats were dead and Arizona handed him a tough luck 2-0 loss.